I finished reading this book in a week, just by reading it in my daily hot bath(or ofuro, as they call it in Japan). I fill my hot bath just half full so that is how I managed to actually read the book without getting it wet. However, money is not the motivating factor for me when it comes to having my own company. What motivates me is the opportunity to release a product or service that is loved by many. I know I have nothing much concrete now, but that is why I try to learn as much as I can in the hopes of having an eureka moment. 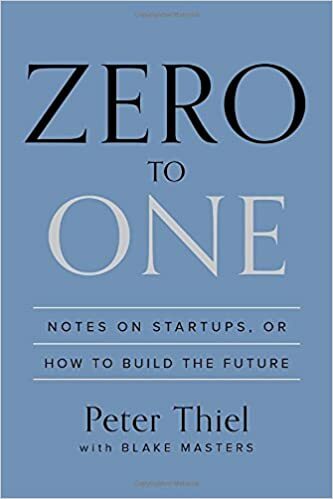 Like what Peter Thiel said in the book, most engineers dream of a “product that can sell itself” but that by itself is pretty much impossible. Like it or not, we have to know how to *sell* the products – this might seem obvious to some people but to others(especially the people making the products – the engineers) not so. Of course, when you think about marketing and technology, one of the first thing that pops up in most people’s mind would be Apple. Steve Jobs is a genius.He has created a strong brand that has attracted a lot of avid followers(almost like a cult). It would be too ambitious for me to actually explain everything written in the book so I would not attempt to do so(in fact I do not think I am allowed to do so!). I highly recommend this book to anyone(not just people who are thinking of building their own start-up), especially those with an interest in technology.